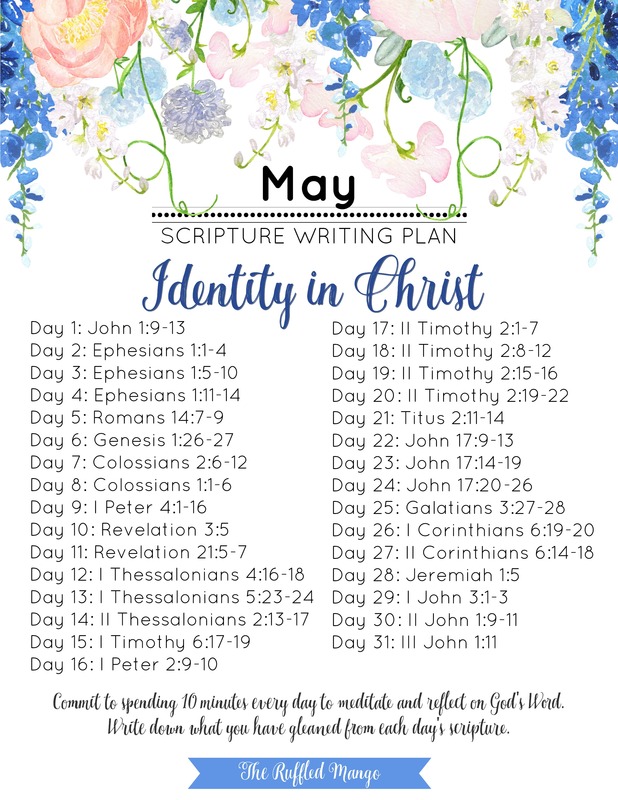 Here’s the May scripture writing plan, ladies! This month’s theme is Identity in Christ and we are so eager to dive into this topic and explore what it means to be joint-heirs with Christ. ❤️ In this exercise and in our Bible study challenge this month, we will also consider the significance of wearing the name “Christian”. I think this is going to be a very rich study of the Word and we hope you will join us for it! Here’s the free May 2018 Scripture Writing Plan!